For those who didn't get to Cannes this year, and for some of those who did, Creative Social's CS Mini Cannes last night focused on the winners, a few dud ads and the key themes. Lockheed Martin’s "Field trip to Mars"
The biggest message though was the importance of diversity and the power of digital, plus the potential of both to shake up adland in the future. Daniele Fiandaca, founder of Mutant and co-founder of Creative Social, said: "Diversity is one of the biggest challenges facing the advertising industry because at the moment we just don’t represent the people we target." David Davies, Cannes Lions’ MD of content, echoed the need for diversity, pointing out a study that shows only 2% of ads portray women as intelligent and 3% as leaders. As evidence for the diversity of thought approach, outgoing M&C Saatchi creative director Sam Ball cited an experimental project he ran to try to convince young men to buy "box-fresh Converse trainers". The project pulled together a large external group including a poet, an investment baker, an athlete, a data analyst, a hairdresser, a science student and a "professional adventurer" and produced what he acknowledged to be some of the best ideas he’d seen. "Be open to the ideas of those who know much less than you and who may really know much more," he stressed. "The future belongs to the agencies that inject diversity of thought into their people and their processes. And the most extraordinary ideas aren’t in you, they’re all around you." Davies meanwhile focused on technology as well as diversity, highlighting the impact of new technology as he said, "VR will become the most social of social media." He said that VR tech is having an impact both on creativity and on consumers. "This stuff is happening and will be consumer-available," Davies said, adding that one speaker from Sony PlayStation at Cannes said the brand is expecting to sell half a million VR units this year. Demonstrating just what VR can do beyond the traditional approach of gaming, Davies showed a film of painkiller brand Excedrin’s powerful migraine simulator VR unit. It allows the friends and family of migraine sufferers to experience what the sufferer goes through during a migraine attack and helps non-sufferers to better understand the condition. One VR initiative Davies showed drew the strongest audience response last night. 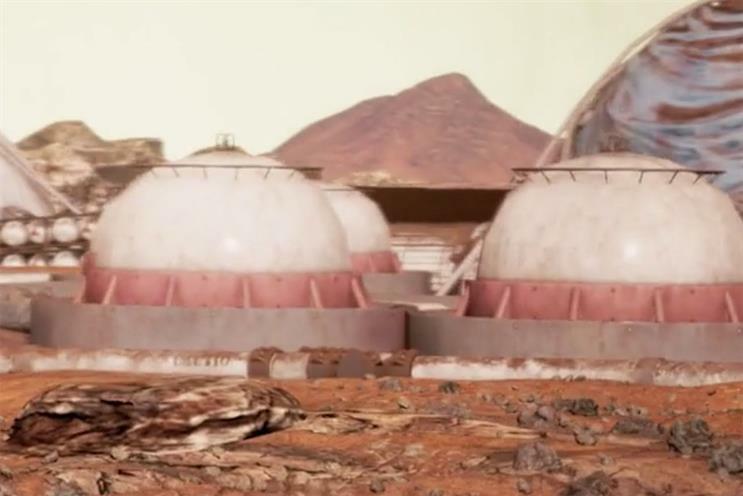 It was a film of Lockheed Martin’s "Field trip to Mars". Billed as "the first group VR experience" with "no headsets," it featured a group of school kids being taken on what they thought was a regular field trip. Instead, the school bus was tech-enabled so to the kids looking out of the windows, it appeared as if they were on Mars. If they turned a corner in the real world, they turned a corner on Mars too. Taking the digital theme further, MediaMonks founder Wesley Ter Haar reviewed the winners in the Digital Craft category and pointed to the increasing visibility of digital at Cannes but how there is still work to be done. "We’re not cyber and it shows in the Grand Prix winners," he said, adding that he is "hoping for a [Grand Prix] UX/UI winner in 2017…. that is where Cannes will really open up the festival." Talking about digital craft he said "UI, UX and functional design are the categories that are exciting to me when you talk about digital craft. They’re future heroes – but not quite yet." He praised the combination of creativity, innovation and craft shown by Lions winners including Because Music’s Because Recollection, Google Chrome Music Lab and Falter Inferno, the latter of which he said showed "every little detail polished to perfection. It was an eye-opener about how good digital can be if you put that effort into everything." Of Because Recollections’ work he said, "it shows that way forward. It’s the kind of work that is works perfectly on mobile." Is effective creative work in decline?